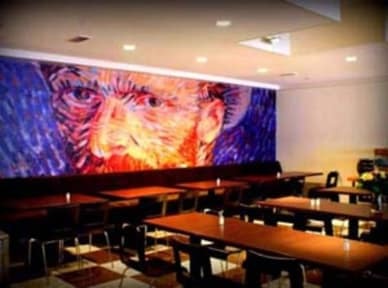 Hostel Van Gogh kohteessa Amsterdam, Hollanti: Varaa nyt! 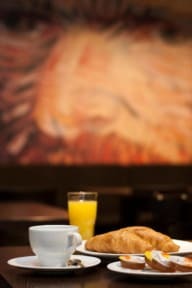 Really nicely located, friendly service, nice wifi, good breakfast and nice rooms. Only missing safety lockers in the room for luggage. Prices during our stay were expensive because it was Amsterdam and a weekend. Our roommates were really nice but the staff was a bit rude in the reception. Breakfast was really nice but costs extra 5 €. Location great for people who prefer sleeping to partying. Facilities are average, nothing special. The location cannot be beaten however. Close to good foods and many attractions.